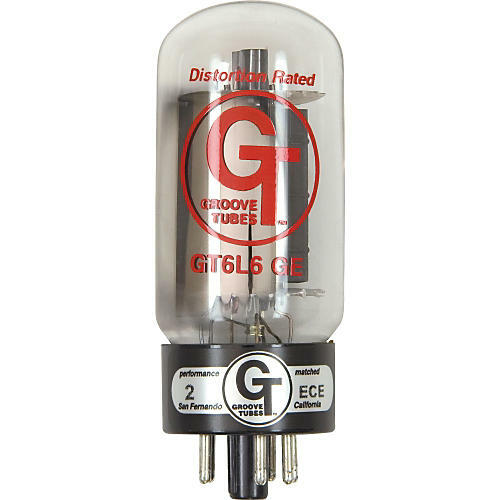 The Groove Tubes Gold Series GT-6L6-GE Matched Power Tubes Medium Duet provides you with stunning clarity and tone reminiscent of the sounds created by a wide range of classic performers, from Carl Perkins to Jimi Hendrix, both of whom mostly recorded through Fender amps at a time when this was the only tube use worth using. The GE is a faithful reproduction of the original "clear top" 6L6. The flagship of the GT 6L6 line, it looks and sounds exactly like the original G.E. tube used by Fender in the ˜50s and ˜60s. It took more than four years to develop, and has stunning clarity and power.So recapture that sound with these vintage re-creations.